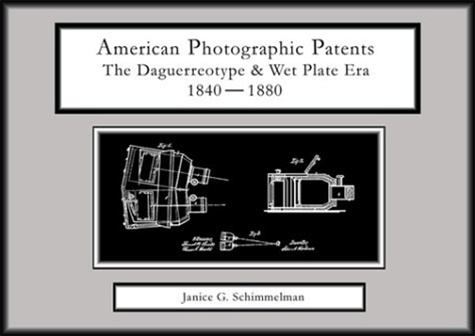 A history of the ferrotype or tintype in American photography, from its origin in the 1850s until 1880. This enchanting guide to the world of figure skating follows a class of young skaters from their first steps on the ice to the thrilling moment they take part in a performance. 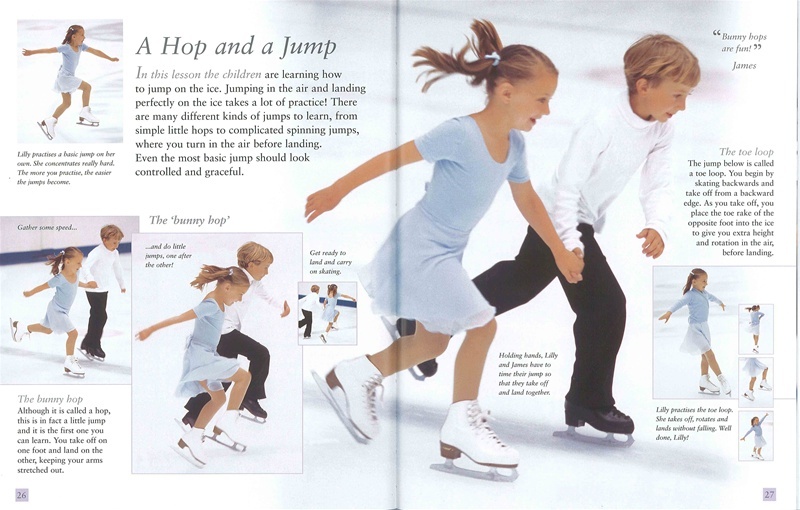 Aspiring skaters will be introduced to the basic movements and techniques involved in skating, as they learn how to move forwards and backwards, and to jump, spin and turn. Young readers will see how much fun skating can be, as well as the hard work and dedication needed to succeed. This book has been made with the help of students from The School of Figure Skating, Lee Valley Ice Centre, Leyton and The Ice Rink, Alexandra Palace, both in London, U.K.
Acclaimed children’s photographer David Handley‘s shot the stunningly crisp full-color photos. Naia Bray-Moffatt, who has also authored “Ballet School” and “I Love Gymnastics,” wrote the lively text. Together they inspire young readers everywhere to turn their dreams of ice skating into reality. Life isn’t easy for Benjy. He looks just like Abraham Lincoln — right down to the wart and beard. 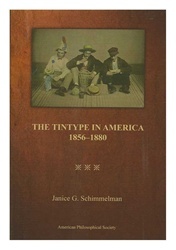 He receives stovepipe hats for every birthday and has to play Lincoln in every school play — whether he’s part of the story or not. The teasing never stops. But then he spends a summer at Camp What-cha-ma-call-it — for Kids Who Look Like Things! There, among kids who look like frogs, toasters and even the backside of a horse, Benjy learns some important lessons about himself — and the things that truly make a person special. 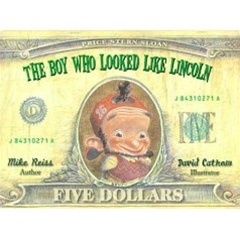 Author Mike Reiss, who writes for The Simpsons and illustrator David Catrow have created a wonderfully hysterical fable that will resonate with anyone who has ever felt a little different. Next week marks the 20th anniversary of the death of legendary New York artist and social activist Keith Haring. Haring’s style of simple outline drawing combined Disney cartoons and the sophisticated “primitivism” of artists such as Pierre Alechinsky and Jean Dubuffet. In the 1970s-1980s, Haring was swept into New York’s Downtown culture of Punk and New Wave music, and he translated the street culture into his art. His art continues to inspire people today. This week’s specials are two of his small format books. These books are in perfect condition. We ship in 24 hours. 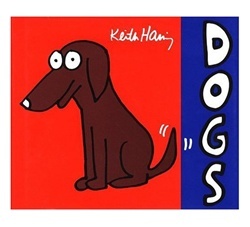 The dogs in the art of Keith Haring are anthropomorphic: dancing, laughing, ogling and showing off — they were on occasion an alter-ego of sorts. Here paired with quotes from Haring’s journals, we can see in these drawings the joy and inspiration he found in his friends. These drawings provide a touching and funny counterpoint to his more monumental work. Keith Haring loved children and treasured their purity and innocence. The “radiant baby” was a signature images and appeared in many incarnations in his work: pregnant women dancing giddily, babies with halo and wings, cradled mother’s arms or playing with their dad. 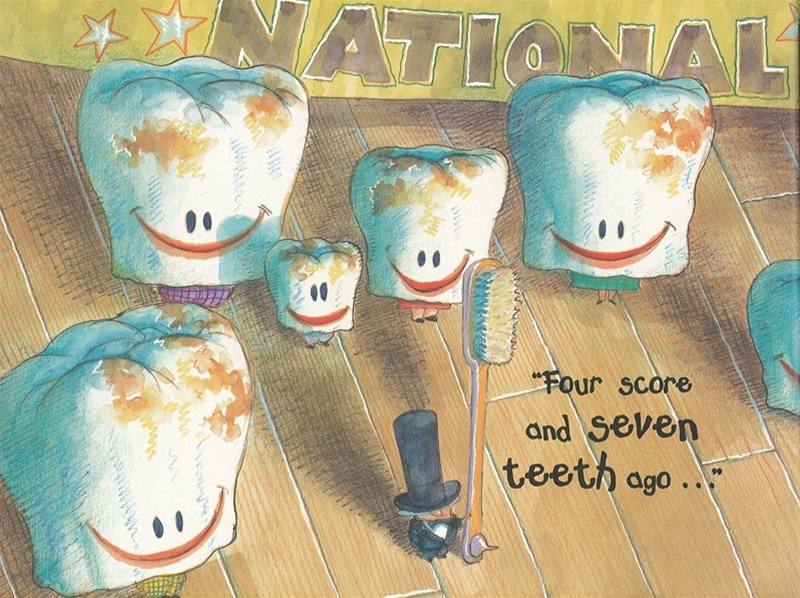 Matched with insightful entries from his writings, these joyful drawings continue to entertain, inspire and provoke. Welcome to the ultimate source of entertainment, information and inspiration on matters of the heart. 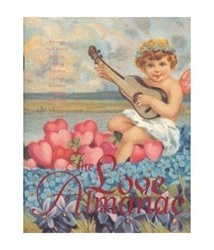 Full of romance and whimsy, this jam-packed volume is divided into 5 themed chapters. Each chapter is brimming with a combination of poetry, literary excerpts, letters, history, trivia, advice, top ten lists, humor, games, crafts, activities, songs, resources and recipes. 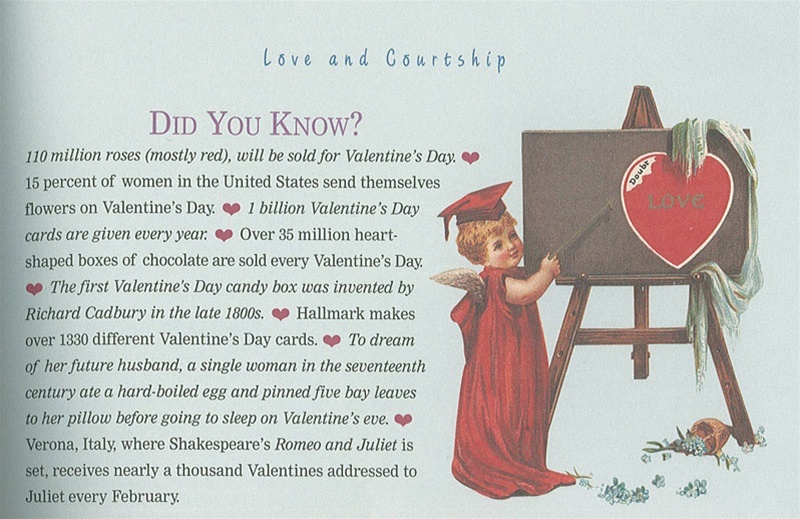 Filled with more than 200 charming vintage illustrations and postcard art, this delightful book is a beautiful celebration of romance, passion and friendship. With pages edged in silver, this is the perfect gift for a sweetheart, spouse or a friend still looking for love.